Sure, we could celebrate Halloween by mentioning the spooky or downright horrific sights there are to see in Italy. But given that the holiday calls for the rattling of bones, we decided to bring up two of the tastiest “bony” dishes that you can sample on traditional Italian menus during the chilly autumn season. A quintessentially Roman specialty which is hard to find on menus outside the Eternal City, this filling version of oxtail stew originates from the historical period in which slaughterhouse workers were commonly paid in kind with the offal of the cattle they would butcher, known as the “quinto quarto”, or fifth fourth. The first fourths would go to the nobility, clergy, merchant class, and soldiers...leaving only the entrails to the working classes. 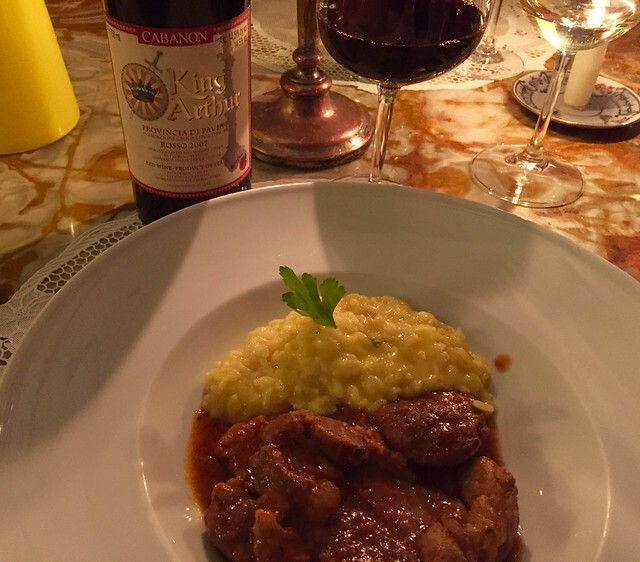 For this reason, many historic Roman dishes feature offal of beef, lamb, and kid, including Coda alla Vaccinara. Though not particularly photogenic, Coda is uniquely tasty. Simmered at length in a tomato and wine sauce flavored with copious amounts of celery, carrots, onions, garlic, herbs, and pancetta, many versions add raisins, candied fruit, cinnamon, nutmeg, and pine nuts to give the finished dish a sweet-and-sour flavour. Best made a day ahead of time and allowed to rest, the leftovers can be used the day afterwards as a pasta sauce, known as “sugo di coda”. 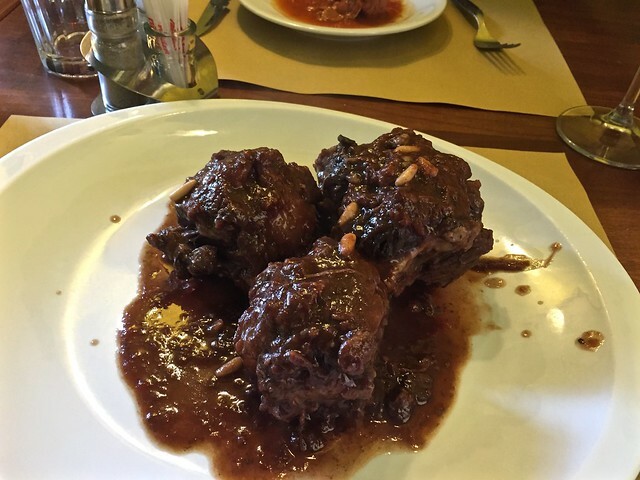 Milan's beloved osso buco is equally traditional and regional, with just as humble beginnings. This braised veal shank is named for the marrow hole in the crosscut bone in the center of each slice, and was once an inexpensive dish prepared in farming kitchens and working-class osterias around and in Milan. Though this cut of meat is quite tough and has a larger proportion of bone to meat than other cuts, long and slow cooking renders it tender and the bone marrow lends a unique flavor to the sauce. The original version of osso buco is “in bianco”, or without tomato sauce, calling for a long braising in clear broth flavored with cinnamon, bay, and “gremolata”, a traditional condiment made with chopped parsley, garlic, and lemon zest found in many Lombard dishes. The modern version includes tomato sauce and chopped carrots, onions, and celery. Both versions are commonly served with saffron-flavored risotto alla milanese.